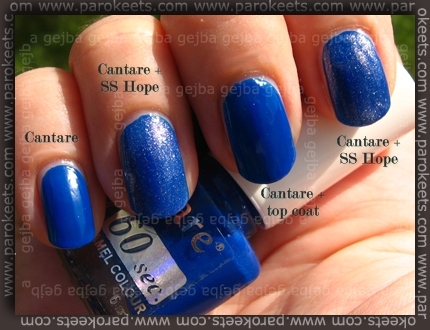 While browsing Nail Polish forum, I spotted Cantare nail polishes. Next time I went to DM store, no.132 went home with me. Closest I could come up with color description is royal blue. Packaging is not so great – you can not screw cap all the way. And polish has only 3 month expiration date. This is creme shade with really dull finish. Top coat is a must. Fanken polish mixes (home made polish mixing you see on Dr. Frankenpolish blog) are quite popular in our country right now. I’m safety freak so I would have to invest in protective wear: gloves, mask, goggles, buy pipets for precise measuring … so expenses would ad up. I usually add micas or mineral eyeshadows to polishes I want to spice up. This time I applied Sweetscents Hope eyeshadow (mixed with Pretty Woman Vitamine Coctail basecoat) over Cantare 132 polish. Hope has the same effect on polish as it does on its own – it becomes almost silver in artificial lighting. 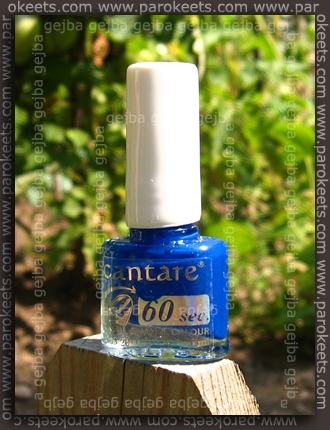 Cantare 132 bottle contains 6ml of polish and costs around 0,80 € in DM stores. Previous articleLet the age of Essie begin! 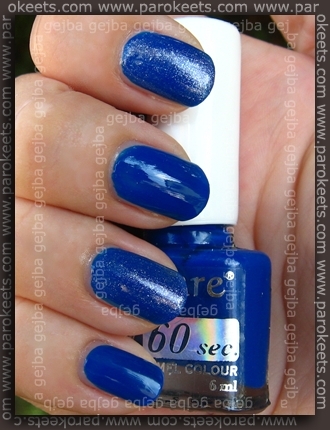 :biggrin: That’s a gorgeous shade of royal blue. 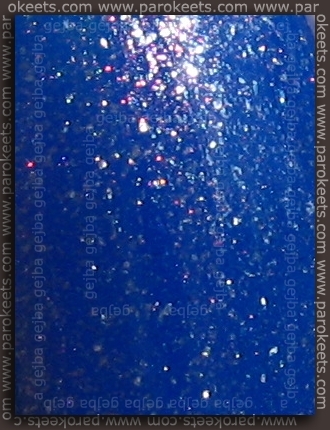 I like glitters buy sorta prefer this just alone. Sicer pa, izredno dobra in resna tematika (home made mešanice lakov) ter vsekakor omembe vredna. Menim, da se ljudje te problematike niti ne zavedajo dovolj! Jaz sem svojega kupila v Hali A. Takrat jih je bilo še nekaj.